(ZIZ News) — The Ministry of Tourism has announced Rashid Stanley as the winner of the “Old But New Pastiche Competition”. The announcement was made during an award ceremony held at The Ministry of Tourism on Thursday. Stanley received an iPhone 7 as his prize. Second place went to Palo Tuitt, who received an Xbox 1. Tuitt’s submission also won him the special prize after his post received the most likes on Facebook. Third place in the competition, Karissa St. Juste walked away with a new 20-inch bicycle. 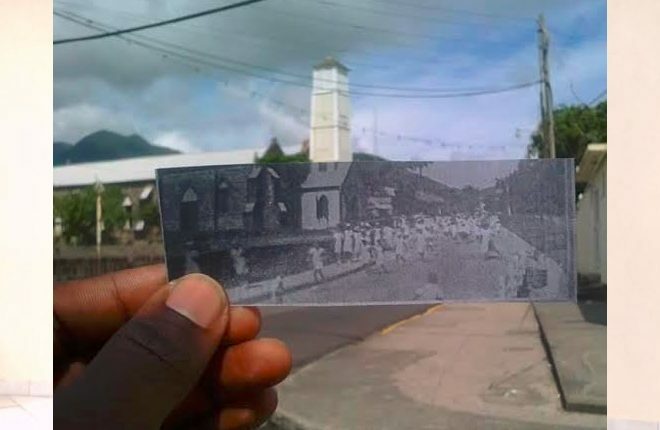 The “Old But New Pastiche Competition” asked for persons, mainly young people to find old photographs of buildings or historical sites across the island. The next step encouraged persons to go to those locations, line up the old photograph with its modern day counterpart and snap a picture of the combined image. The submissions were then posted to the “Faces of Tourism” Facebook page where the winner was selected. The photo competition was created to spotlight the history of the federation. The ‘Old But New Pastiche Competition” was held in November to commemorate Tourism Awareness month.